Security Tips | SATHAPANA Bank Plc. 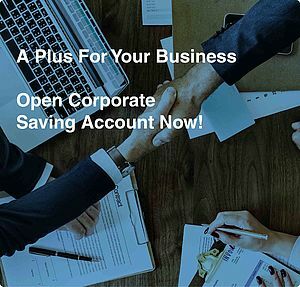 Keeping your personal information and banking details safe is our top priority. Do not give out your account number or your password! Do not reply to unsolicited email messages asking for personal or financial information! 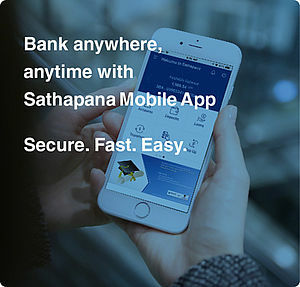 Password is very essential for Sathapana Mobile transaction, Sathapana Bank strongly encourages users to not sharing password to anyone. Create strong passwords due to the requirement, and set them as impersonal as possible. The passwords should not be stored with unsecure devices and should keep changing regularly. Do not reply suspicious email which requires personal/financial information. Remember that Sathapana will never email or text asking for personal information. If you think your personal financial information has been disclosed, and unauthorized transaction occurred, please contact the bank immediately via (023 | 081) 999 010. Make sure that your provided contact information is up to date. Only install apps that are downloaded from official app stores. Unofficial app stores may carry malicious apps. The official app stores are Apple App Store or Google Play Store. Install the latest software updates on your device. Read the transaction details in the confirmation alert carefully. Validate that the messages reflecting your actual transaction requests. For example, check that the account number is correct. Check your last login and transaction history regularly for any abnormal transaction and notify us immediately at (023 | 081) 999 010, if you notice unknown transactions appearing on your account. Update us immediately when you change your contact details. Do not intentionally disclose your personal information to suspected websites. Ensure that you read and follow the instructions carefully before using your SMS-OTP (One Time Password).